Holy Trinity Catholic School is a regional Catholic school located in Blair County within the Diocese of Altoona-Johnstown, Pennsylvania. 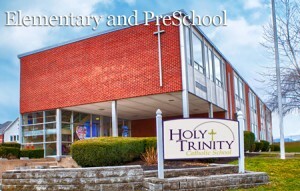 We have two elementary campuses, grades Pre-K through Fourth, located on the properties of St. Michaels Church, 321 Wayne Street, Hollidaysburg and St. Therese of the Child Jesus, 424 Wopsononock Avenue, Altoona. 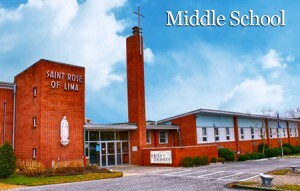 Our middle school campus, grades Fifth through Eighth is located on the property of St. Rose of Lima Church, 5519 6th Avenue, Altoona. Each campus houses a computer lab, gymnasium, and a cafeteria with a hot lunch program. The middle school campus also houses a science laboratory, art and music room. 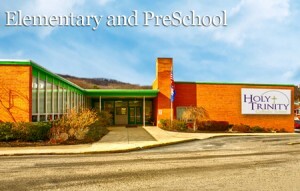 Both elementary sites offer five full day PreK 3 and PreK 4 programs. All sites offer supervised before and after school programs. Free bus transportation is available to all three sites for students in grades Kindergarten through Eighth grade through the local area school districts. Catholic tradition and teaching permeates our school from Morning Prayer until the final blessing at the close of the school day. Our children are challenged to work hard, act respectfully, and to do all things with and in Christ, the invisible head and ever present inspiration of our school. The academic needs of our students are met by a caring, nurturing, knowledgeable compliment of full-time and part-time teachers. Teacher’s aides are also incorporated into the elementary school classes. Our school curriculum has been significantly updated with an investment in new learning materials and an emphasis on Science, Technology, Religion, Engineering, Art, and Math (STREAM). Our students come from all the surrounding supporting parishes. All students, regardless of their religious beliefs, are welcome to join our family. Open enrollment is ongoing and all who may be interested are encouraged to Contact Us by e-mail or phone.